Back to the fray unfortunately. 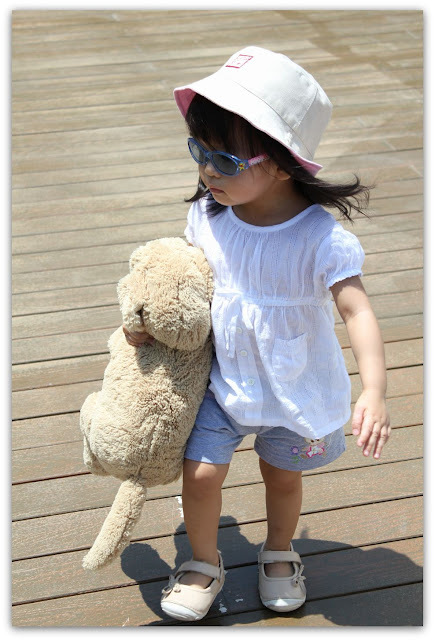 I feel like I want to don my sunnies and a hat, grab a fave toy and run away again! We received sad news on the 1st day of our trip which cast shadow over the holiday. Cancer has struck the family and while we are immensely thankful it is at a treatable stage, our hearts are heavy. If you haven't spent time with a loved one recently, could you take some time this week to call or have a meal with that person? While I will not be sharing details on this space, it is this that will be occupying our thoughts for quite a while. A period in life where we lean on God and learn to show practical love, support and strength. Still, we are not ungrateful about the time we got to spend away as a family. We are thankful for the break where fresh air, sea breezes and the sound of waves prevailed. I'll share more about that soon! Thanks dear. Appreciate the prayers! Stay strong, babe. Will keep your family in my prayers! Thanks ladies! We're trusting God for the best! Hugs and continue to pray and have faith. Thanks dear :) God's in charge! Thanks for your thoughts! Have a lovely lovely trip to KL! Eat your way there and back :) They have pretty nice new malls that I'm sure Ry would love to run around in. Beach holiday can happen when the little one starts walking perhaps?